Northumberland Park is a busy London railway station serving the Tottenham area. Our team was called in to repair and respray several damaged cladding panels at the railway station. Working alongside a number of other contractors on the site, Buckingham Coatings operatives would be required to work on a challenging project requiring the repair and respray of several damaged cladding panels on two platforms. This project required an exceptional regard for safety due to the conditions in which our team was working. The Buckingham Coatings team not only had to negotiate a close working relationship with several contractors involved in the railway station’s ongoing groundworks. We also had to conduct the job at night, when the line was closed, working at height. Our work to refurbish several cladding panels on the station platforms required us to work at height using scaffold tower equipment. Our operatives hold Prefabricated Access Suppliers’ & Manufacturers’ Association (PASMA) tickets, which provided the necessary evidence of their full training in use of this equipment that suitably complied with the strict health and safety rules of the site. Despite having to work night and around so many other contracted workers, with a little extra care for safety and coordination with the groundworks’ teams, we were able to carry out the cladding panel repair and respray works as efficiently as normal. Once the affected areas of cladding had the scratches and dents filled and primed, they were coated in colour-matched RAL7000 “Squirrel grey” colour by our paint spraying operatives. The cladding remedial works were complete in one night/ two days, successfully delivering to the high safety spec and with a high-quality finish. To refurbish several panels on two platforms. Scaffold Tower required to reach works at height. Painting of panels to be completed once panels have been prepared, primed and repaired, requested painting technique is spraying. 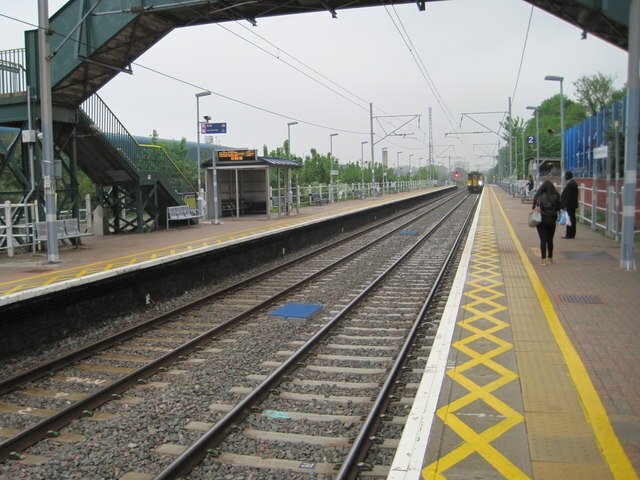 Due to the position of some of the panels it was necessary for works to be completed during a possession of the line, these panels were completed overnight. PASMA ticket for erection of Scaffold Tower.